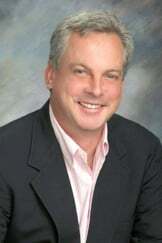 Paul Weir cofounded CarePlus with John Morgan, M.D. in 2010. As Senior VP of Operations and Business Development, Paul drives CarePlus toward its mission of delivering superior anesthesia management and recruitment services to partner facilities. Paul has nearly 20 years’ experience in the anesthesia field. Prior to CarePlus, he was Regional Director of Sales and Recruiting, and National Sales Manager for a national anesthesia management and recruitment firm with offices in six states. In 2007, Paul guided a startup anesthesia management company. In 2004, he helped one of the largest GI Anesthesia provider companies in the nation during start up and recruiting, managing 10 regional and national recruiters. He helped implement a startup anesthesia management company beginning in 2007. A graduate of the University of Georgia, Paul still resides in Athens, Georgia.